Male actor Kit Harington has been tapped to model for a vaguely confusing but ultimately highly satisfying Jimmy Choo ad, in which the indubitably fly Harington is perched, Spider-manlike, atop a car windshield. It is beautiful, and it is essentially a parody of what many people consider high fashion to be. Any real-life scenario in which a well appointed man leapt upon your vehicle to gaze seriously into your eyes is terrifying—he is a homicidal maniac; you struck him; he is a zombie—but this is Kit Harington, male actor of your dreams. So it kind of works, as the look in his eyes is not murderous, nor dead, nor undead, but one of lust and desire. His eyes are posing a question, and suggesting we get out of here. Out of here onto the... Nevada airstrip?... where we can be alone together. Just you, Kit, and these vaguely distracting $800 reflective hightop sneakers. Also: Kit Harington doesn't wear socks with his driving loafers. Hey girl. There will not, however be any question about his extracurriculars outside the savage university that is GoT: Harington's modeling career is on overdrive (heh) and this year he will star in the British film Spooks: The Greater Good, and in 7 Days in Hell, which also stars Karen Gillan, Mary Steenburgen, Lena Dunham, and a veritable spreadsheet of past Saturday Night Live actors. 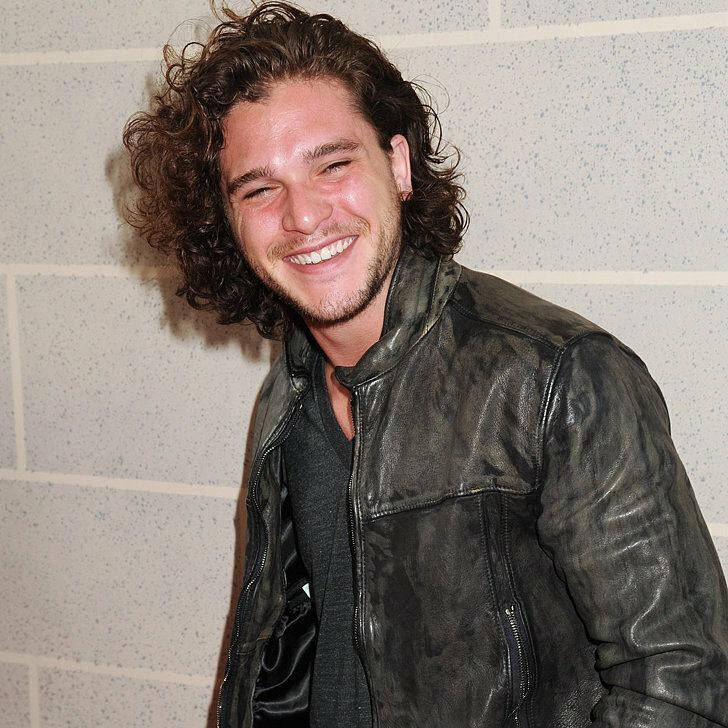 Is Kit Harington going to be in a comedy? For real? Wait have we ever even seen him smile? Oh god wait yes we have. Oh god KITTTTTT.